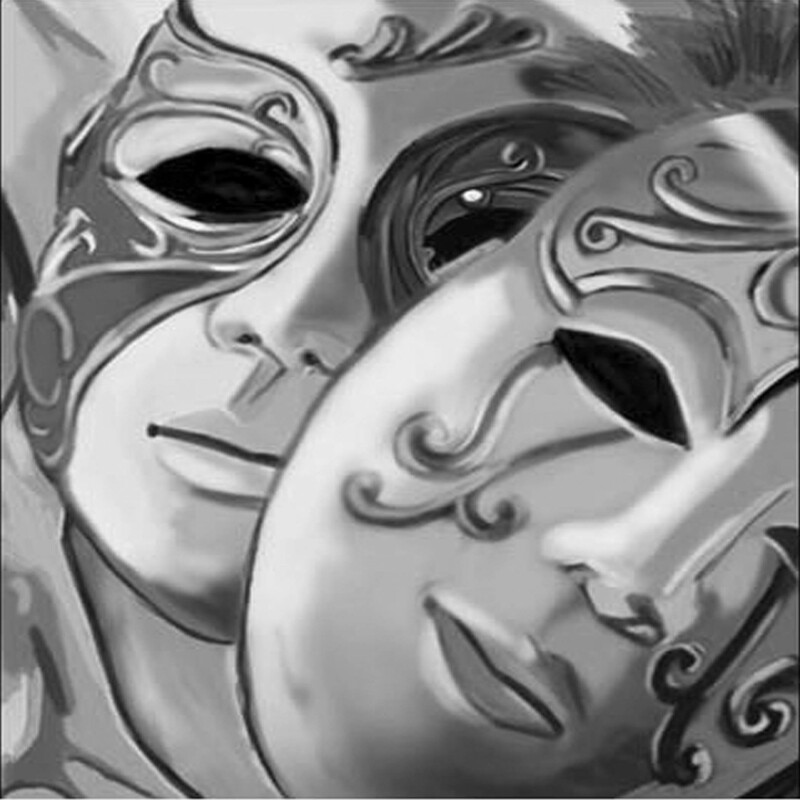 In essence, Monte discusses how we undergo a rapid change of self-awareness right around puberty, when we suddenly stop playing pretend and find the idea of roleplaying to be something of an identity crisis. This makes sense; it’s an age where everything we know about ourselves is challenged. Our bodies change, our thinking changes, and we become hyper-aware of how others must see us. As our hormonal changes incur initial sexual impulses, confusion and shame can add to the experience, making roleplaying – particularly casual, around-the-table-with-some-friends-(and-possibly-strangers) roleplaying – an exercise in extreme vulnerability. Of course, most of us who started playing roleplaying games during or before adolescence know damn well that we weren’t particular good at the roleplaying part of the gaming experience back then. Easily attributable to a lack of mature life experience, at the very least. But for many of us, the power of immersive roleplaying is a palpable experience that we would not trade for anything in the depth of our adult lives. That same vulnerability is there, of course; once we become conflicted about our core identities, the fears attached to the issue never entirely dissolve. (Just ask Freud!) But we come to surround ourselves with people we trust and enjoy sharing that vulnerability with – people who won’t judge us because they are there for the same experience, to one degree or another. And “experience,” as Monte points out, is the point of the thing. As a game master, I have a front-row seat to the intimate byplay of subsumed behaviors and enthusiastic involvement that characterizes my weekly game sessions. Players focus their considerable wills on realizing the hopes and dreams of a fictional personality, experiencing their triumphs and their losses, and integrating themselves in a group narrative that spins a story that none of them will ever forget. They get to do things that they will never have the chance to do in their everyday lives… leading armies, fighting dragons, experiencing grand romances and dark betrayals, and making decisions that can save the world or let it fall into ruin. It’s a powerful experience, with the right chemistry. And because I’m also a psych major, I’ll discuss yet another fascinating aspect of immersion. As an interesting addendum to the vicarious experiences which drive us to immerse ourselves in tabletop roleplaying, the study of cognitive psychology suggests a stronger relationship between imagination and experience than many of us realize. It’s plausible, in fact, that the ability to experience actual reality relies somewhat on our “imaginative” grasp of the experience. That is, after all, the mechanism which allows us to recall the experience in vivid detail. As an example, neuroscientists have noted that an individual observing the behavior of another individual engaging in an activity the observer comprehends will experience activity in the very same sections of the brain as the other person. In essence, the observer engages his or her brain as if performing the activity him- or herself. They refer to this phenomenon as “mirror neurons.” As a guitarist, for example, I have noted that I will sometimes unconsciously move my fingers in a manner related to the movements of a guitarist I am watching perform. Technically, as far as my brain is concerned, I may as well be playing the instrument myself if I am truly immersed in the experience. So… does that make it any clearer? For TsunamiCon 2014 to happen, the first thing we needed (other than a potential revenue stream) was a venue. After discussing our general needs, Shaun and I hit the streets. We knew we wanted a hotel, as that would better service our interest in drawing attendees from outside the market. Naturally, there is no particular shortage of hotels in Wichita with potentially viable convention space, so we had to start sorting through the available criteria. We compiled a principle list of venues with which either of us had any previous experience, with a particular emphasis on popular venues for other conventions, then began eliminating options based on prior experience, location, and reputed cost. With a stack of eight venues remaining, we took a day to visit each hotel in turn and meet with a sales rep to explore our options. Interestingly enough, Hotel At Old Town was my very first suggestion. My wife and I had visited their convention center while investigating wedding venues several years prior, and I had been fairly enchanted with the place. The four of us quickly realized that we had never heard of anyone running a fan convention at the venue, which did raise a few red flags, but also made it both intriguing and exciting. Old Town would be an amazing place for a convention, and the convention center would fit perfectly the con we had begun to envision at this point. It seemed remarkably appropriate, then, when the hotel quickly landed in our top 3 selections after visiting with the various venues. The Pros: The price (which was actually on the low end for local venues), 10,000 square feet with a lot of versatility, a locally-owned business that doesn’t answer to a corporate stepladder, a staff that was accustomed to setting up events with lots of tables and such, the quality of the hotel, the location in Old Town, free parking in an attached parking garage, a police substation at the end of the block, the unique quality it lent to our event because no one has been there for a convention. The Cons: All food and drink must come from in-house catering, we had to negotiate catering and setup with said company independently, the price of hotel rooms (which, for our housing block, are ridiculously cheap given the quality, but certainly not among the cheapest in town), the requirement that we close down at midnight, a deposit and early cancellation fee that seemed untenable for our event. Once we had settled on Hotel At Old Town as our favorite selection, that last point became our primary focus. We had to find a way to raise some money up front to secure the venue, and we couldn’t officially schedule the con until that happened. (Heck, we even had to figure out a way to raise the money for our business license with the State of Kansas.) We set a tentative goal of running the convention in March of 2014. I started constructing the details for a Kickstarter campaign to run through the holidays, and we designed a VIG program to start trying to bring in the people we knew would be excited to make it happen. Crowdsourcing was a crucial element of the process. In this case, once we had the money to secure the venue, we could make an official announcement about the dates and pull the trigger on the Kickstarter campaign. I had a friend of mine – Jim Pinto of Post World Games – draw up a logo for what was now clearly a 2014 convention, and we started reaching out to friends who could help run events at the con and would certainly be willing to pitch in and buy tickets early. Our VIG packages had a lot of cool – if still fairly theoretical – perks: plenty of convention swag, access to a VIG lounge, and access to special gaming events. Unfortunately, we were quickly confronted by a couple of simple truths. As good as the VIG packages looked on paper, we had not yet announced the dates or location for the con, and there was no sense of implied urgency. Our local community just doesn’t do a lot of spending well ahead of time. Even if I try to sell GameDay badges online at a discount in the weeks before an event, I rarely have more than a few people buy in and still sell a slew of them on site. To make a long story short, we went through the process of rescheduling our entire convention – with no one the wiser but us, of course – three times before we were able to make an official announcement. It was April before we had enough money to proceed… five months after we started planning, and with even our originally scheduled convention date in the rear view mirror. Finally, we set about working up a contract with the hotel. We renegotiated the early cancellation policy to give us a more realistic chance of timing out both our Kickstarter campaign and the actual schedule for the con. We hammered out our price points, hit social media with an actual date, and started counting down to a Kickstarter campaign that would – hopefully – provide us with an actual opportunity to run a national gaming convention right here in Wichita. Of course, we still had a few more major wrinkles to work out… and the clock was suddenly ticking. During a recent appearance on Happy Jacks RPG Podcast, Stork suggested I somehow record the details of the convention planning experience for posterity. I’ve actually always been a fan of trying to include the outside world in my more unusual endeavors… When I went into the studio a few years ago to record a blues album, for example, I produced a series of video blogs to share the experience. I imagined it would be particularly exciting for people who had never seen the inside of a real recording studio or had no personal aspirations to record an album but might be curious about the process. It was a lot of fun. Tsunami GameDay is just what it sounds like. We take over the store for the day, set up pre-registration online for anyone wanting to run or participate in RPGs, then set up a bunch of tables for casual gamers and go to it. We tie the whole event together with fun tournaments, charity events, prize drawings, and a live podcast at the end of the day. I sell badges for the event to help cover promotional costs, but it’s absolutely free to participate. We hold these events about once per season, and the crowd is bigger at every GameDay. Our next GameDay, if you’re interested, is July 26th. From these humble beginnings, a plan for a national convention emerged. I should probably clarify at this point that I am neither independently wealthy nor financially well-connected. Conventional wisdom said that running a convention was a task for someone who had cash to throw into the void. I do not. Neither do my contemporaries. It was early last year when I discovered that convention funding efforts had begun to take serious root on Kickstarter, a site with which I was already intimately familiar (much to my spouse’s chagrin *grins*). A number of national conventions had funded right here in the Midwest. It was like a breath of fresh air across the landscape of my personal ambitions. I just lacked two things… any kind of serious game con experience, and a strong enough community to support it. I solved both problems, as it happens, by tapping the experience of some of the enthusiastic folk who attended our GameDay events. Shaun and Liz Duncan soon joined the effort. I had experience organizing and running events and my wife Jonikka had experience managing business finances, but we needed people who knew what a game con should look and feel like and how to connect with our local community. Shaun and Liz had been convention-hopping for more than a decade, and they often ran the game rooms for local cons. Our first TsunamiCon planning session was last November. We organized a business structure, starting outlining our needs and plotting the details, and created a plan for raising funds to help get things started. TsunamiCon had taken it’s first big step toward becoming a real thing, and we were determined to make it happen. We just had a few significant obstacles ahead of us… obstacles that ultimately changed the shape of the con at every turn. In this series, I’ll tackle each stage of the process and try to bring the experience to life in the days ahead. You know… for posterity. Now that 2014 has arrived, we’ll be talking a lot more about TsunamiCon in the coming weeks. At this point, I feel it is important to let you know where we’re at. The Vision: Wichita has cons. We have scifi cons, anime cons, steampunk cons, comic book cons… the list goes on. Of course, they vary in magnitude, and many of them offer gaming… but there are currently no gaming cons. Certainly not on the scale we want to offer. We imagine a convention capable of entertaining as many gamers as our surrounding environs can throw at us. We want big rooms for tabletop gaming, organized tournaments for CCGs and minis, LARPs!, live entertainment, specially organized RPG events, a dealer hall/artist alley, cosplaying contests!, rooms for private panels, live media coverage, a VIG gamers’ lounge, a ton of swag and awesome prizes, and MORE! Did I mention LARPing?! We want to give you the biggest, most exciting gaming convention this city has ever seen… Let’s field a few questions. You… in the front. Will the Wichita gamer community support this kind of event? Absolutely. The gamers here in our city are a fun and enthusiastic bunch with a real passion for their hobby. We’ve met quite a few of them at our Tsunami GameDay events, and we know that – statistically speaking – they represent only a fraction of the local population of tabletop gaming enthusiasts. AND of course, we hope to draw participants from all over the midwest and beyond! This is going to be HUGE. Will there be games on site for us to try, or do we have to bring our own? You can certainly bring games to share, but we intend to have a nice library of board games and card games for anyone to play, with knowledgeable staff on hand to help you get started. The chance to try out something new is an important priority for many gamers, and we take fun very seriously. And of course, if there is anything you want to bring along and share, feel free! Will there really be LARPing? YES! Will there be parking? *blinks* Next question. Will there be other events surrounding the con? I’m glad you asked. We have a panoply of ancillary events planned… including some promotional events and fundraisers in the weeks before the con. We’re thinkin’ about some special movie events and social gatherings, and of course a pub crawl. Definitely, a pub crawl. Will you have a volunteer program? Oh, yeah… without volunteers, it’s hard to make an event of this scale become any sort of reality. We’ll have a plan in place for people who want to comp the price of their badge by serving in the trenches. Isn’t this all going to be very expensive? Um… yes. Yes it will. And we have every intention of keeping our ticket prices down to a reasonable level. The first step to making this event a reality is to raise the money, and to that end we plan to crowdsource it. Once we have the weekend of the con firmly booked, we’ll launch a Kickstarter campaign to pre-sell the badges. This will be your opportunity to get the most for your gaming dollar, as Kickstarter backers will get all kinds of perks, extra swag, and con cred. It will also lock you in at the best price for badges and offer great deals on hotel room packages, vendor space, and promotional opportunities. How can we help? Like I said, we aren’t even booked yet, because we need money to do that, too. We need to secure the venue and get all our legal ducks in a row. You can REALLY help us out by picking up one or our two V.I.G. (Very Important Gamer) contributor levels for early adopters who help us get started. They are both an excellent value, and will include special VIG badges, plenty of swag (including a TsunamiCon T-shirt… by which point you’ve already made bank on the investment), and access to special events. Your name will be listed on the hallowed scrolls (or at least on the website and in the programs), and you will have earned the eternal gratitude of the entire community. Furthermore, we will take every opportunity to sweeten the deal with more swag or special events even long after this opportunity has closed. The Bottom Line: If we want an honest-to-gods REAL, high-quality gaming convention right here in the heartland, we have to pull together to make it happen. Once we get rolling, we’ll need volunteers to help organize and run the event, help with promotion, spread the word, and generally help make it successful… but right now, we need capital. If you KNOW that you’ll be making a point of attending TsunamiCon, getting your hands on that silver level VIG package is a fantastic value. And if you want to help us out now and still volunteer at the con, we’ll make it worth your while. I promise. So let’s build a convention! 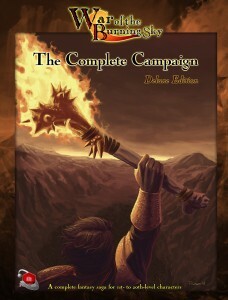 Over the past few months, I’ve been running a kind of nontraditional fantasy adventure using Savage Worlds on Google+. It’s been an education in many ways. As a lifelong D&D enthusiast, it was my first shot at a Savage Worlds fantasy game. Instead of a party of intrepid graverobbers, the group consists of the officers and advisers at the head of a royal army, and the threats the party has faced have been largely supernatural. Mind you, these are all consequences of decisions made by my players as we worked toward launching the campaign, and it’s been a blast. There are, in fact, still scorch marks in my head from last night. In the story thus far, the action has been slipping and sliding toward a crescendo that involves a hitherto unknown supernatural beastie whose minions have been terrorizing the villages of the eastern wilds of their home kingdom. Over the course of several sessions, I introduced a few of its more notable lackeys, had NPCs provide (sometimes inconsistent) background on the region, provided the PCs the requisite opportunity to screw everything up by slaying the witch who was protecting the townsfolk from the worst of it, and finally set them on the path to the Big Bad. Now I just needed a Big Bad. Jim Pinto’s Post World Games provided me with just the vile critter. 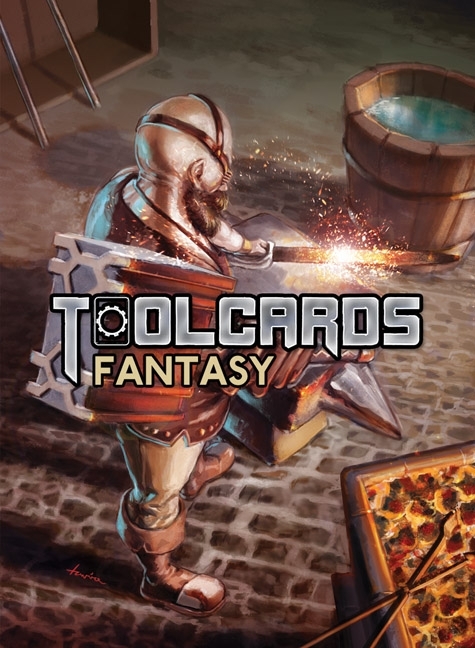 I recently helped fund Jim’s newest Kickstarter for a product called Toolcards, a collection of thematic card decks loaded with thoughtstarter elements that can be randomly selected and combined to extraordinary effect. 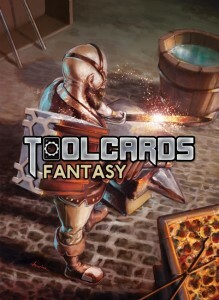 This is the fantasy version of the product, and the principal deck can be employed during game preparation – or even during play – to meet a broad assortment of needs. I’ve always loved thoughtstarter products, like adventure seeds or interesting NPC ideas… most often, ideas that are born of an idle source of inspiration take on a life of their own. I have taken many a beating from the wayward concept incited by contemplating a character in some oddball indie film that went on to fuel the collective imagination of my players such that it refused to eat its vegetables and the players cheered it on. Did that metaphor run too far astray? Well, each Toolcard presents of a list of elements that can represent simple Lego pieces in the creation of your choice. 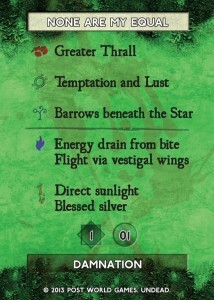 Any given card provides a name, a location, a monster idea, some sort of magic, even a couple of descriptive concepts. Need a monster? Draw two or three cards at random and let your eye wander across the surface picking out words that work well together. You could end up with a Nightshade Pegasus guarding the amberdrought elixir in a forest the beast has set ablaze. Or a petulant ash-belching Blooded Warbeast, one of the handful of creatures who escaped the Wizard-King Vale when Rhoden the Geomancer was slain. Or maybe you just use the Grayskin Halfling called Elias the Forester, who wants to know why you’re here? All that from THREE CARDS, by the way. The Corpse-King Butcher is believed to be a spirit who haunted the wilds of Eastern Anterrus for centuries. His origins are a matter of pure speculation, as any dealings with the creature have inevitably led to the researcher’s long and arduous demise. Witnesses spoke of the haunting of the Mayfair village for years. His heralds were shades, harmless but to those who spoke to them directly, easy to avoid if they kept to their homes in the darkness of night. For passing a threshold into the homes of the living wouldst sap the shades of all their strength. Even the infamous Night Walker was but a shadow of a shadow in the warmth of a family hearth. A local witch did conjure a ward sufficient to hold the beasts at bay should they even deign to near a woman’s stoop. ‘Tis a most curious bouquet. Mayfair is believed to be the name of a small hamlet to the north and west of the Great Wood. Nothing remains of the village save the remnant of a church and a small cemetery. A survivor’s account suggests that the Butcher arrives after a group of villagers had entered the wood and assaulted the heralds. The massacre in Durham was unworldly. The king’s men entered the wood to confront the monster, but never returned. Two nights later, the hanged man was seen on the hilltop overlooking the township, and the Butcher appeared in the streets. A young herbwoman knew the beast for what he was and bade the villagers flee to the temple and the shelter of their gods. Many scoffed at the woman’s superstitions and soon fell beneath the Corpe-King’s blade. Their homes were no sanctuary, and a madness spread through the town that turned one man upon another or upon his family in an attempt to escape. Only the women seemed secure from the insanity, though they were no less vulnerable to his wicked blades. Once upon holy ground, however, the Butcher came under attack from the townsfolk, and he was bitten by the knives, and he did run. The gods truly protected the survivors of Durham that night. One other account described a holy man who fell upon his knees before the Butcher and bade forgiveness for his sins and was spared, the Butcher’s power unable to bring him harm. 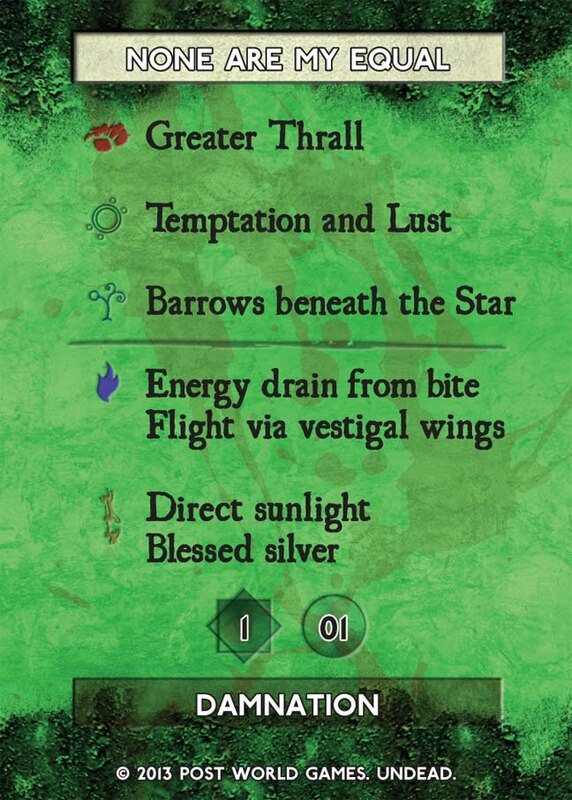 This was basically the information available to one of the PCs – a “guardian,” as mentioned in the text above, who specializes in monster-hunting – when, as the party returned to a village after victorious battle with the Night Walker, he spotted a spectral hangman’s tree in the distance and finally put all the pieces together. You will eventually be able to hear all about it, and the battle that followed in the streets of the town, in our dramatically-produced Actual Play series The Obsidian Crown. Thus far, the Toolcards have proven an invaluable resource, and there’s enough material in the cards to easily provide a virtually endless supply of potential material. In addition to the standard deck, you can pick up a few of the specialty decks to help kickstart or fill out ideas for characters, cults, dooms, potions, quests, traps, undead, and more! I cannot recommend them enough. Go. Buy. Let your inspiration particles be fruitful and multiply. I recently finished reading the Wheel of Time. To a few of you, that may mean absolutely nothing. To a few more, it is an arcane concept you have heard rumors of, but never personally borne witness. And to a general cross-section of geekdom, it represents a laughable exercise of exasperation and triviality. We probably collectively know more people who have abandoned the series some time after book 3, book 5, or book 7, than we do people who felt compelled to persist. But for a few of us, it represents a powerful source of joy and agony, hope and trepidation, and boundless inspiration that has been with us for 23 long years. Eye of the World was released in 1990, but it was many years before I discovered it. By the time I picked it up in ’96, there were already six books in the series with a seventh on the way. 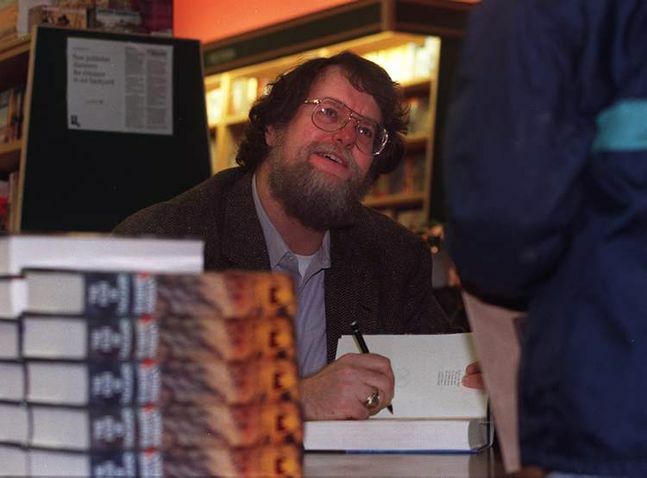 Author Robert Jordan had already exceeded his original projections for the length of the story, and fans began to wonder just how far it would go. As the torrent of releases slowed, readers became impatient. The sheer content of each volume was overwhelming, with so many characters and developing plot threads that the inability to move fluidly from one book to the next inevitably meant that many would abandon the series in search of less complicated fare. 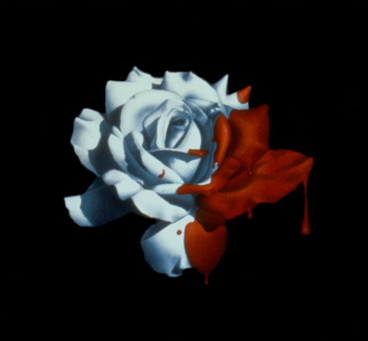 Added to this complication was Jordan’s undeniably flowery speech and addiction to descriptive text, coupled with characters who were often so young and immature that many readers found them unsympathetic. For those of us who stayed, it often became necessary in succeeding years to reread the entire run in order to feel confident that we could pick up where we left off and keep drag of dangling story arcs. Needless to say, loving the Wheel of Time hasn’t been particularly easy. We took a serious blow in 2007 when Jordan died, leaving the final volume of the series unfinished. In a remarkably unlikely turn of events, Jordan’s wife and widow selected an inheritor of the tale in fantasy writer Brandon Sanderson, who masterfully wove the passages Jordan had already penned with the copious notes he had left behind to craft the final section of the tale, which was ultimately released as three books. Sanderson himself – an uber-fan of the series – volunteered to take a hit on the project to see it through, as he had only contracted for one novel but felt that he needed three to do it justice. I sincerely hope that the decision paid off, since in my opinion he did an incredible job. 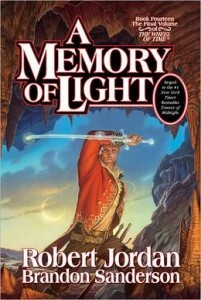 The fourteenth and final book, A Memory of Light, was released earlier this year. Despite my obvious enjoyment of the book, and my deep appreciation for Sanderson’s laudable conclusion to a story I have doggedly absorbed numerous times over the past 14 years, I am not going to offer a review of the book at this time. I’m too close to it, right now, having just experienced the ragged emotional squeegee and come out feeling both elated and exhausted. What I can say is this: if you have ever wondered about whether or not it was worth it, about whether the payoff is good enough to justify slogging through the rest of the books (or worse, starting over again so that you can remember what was what)… I’m not saying that the Wheel of Time is the greatest story ever told. For me, it may very well be. Time will tell. But it is a journey worth taking, with people worth knowing, on adventures worth having. And for good or ill, it will stay with you – a part of you – for the rest of your days. Rest in peace, Mr. Jordan. And thank you. If you’ve been following my recent elucidations on Facebook, Twitter, my own website, or the new Prismatic Tsunami VLOG, then you have probably heard me extol the virtues of Green Ronin’s Freeport setting. 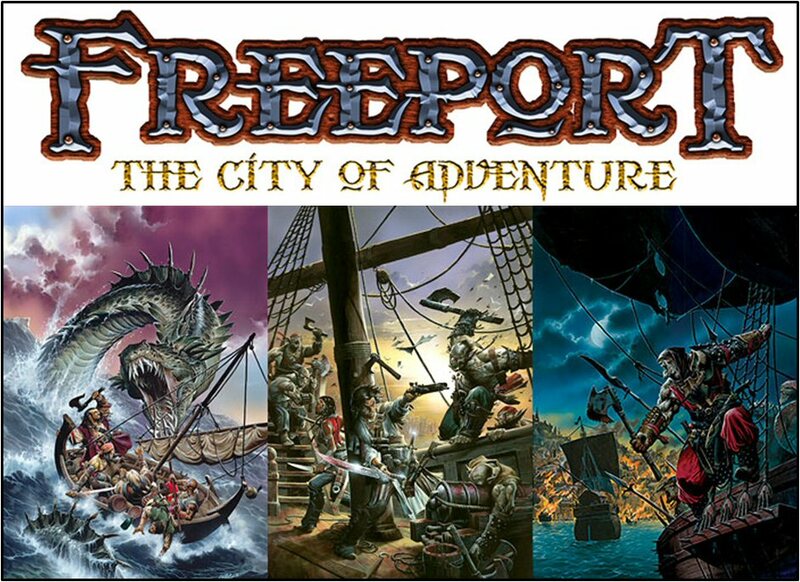 Freeport is a pirate city with some Lovecraftian undertones and plenty of room for adventure, political intrigue, investigative play, and lots of piraty goodness. It first appeared in the adventure module Death in Freeport, released the same day as the 3rd Edition D&D Players Handbook in August of 2000. The adventure was soon expanded into a trilogy and the company started producing free downloadable content to help expand their city and provide a plethora of tools for the discerning DM to wield responsibly and with great wisdom. The first character was Argamon the Red. 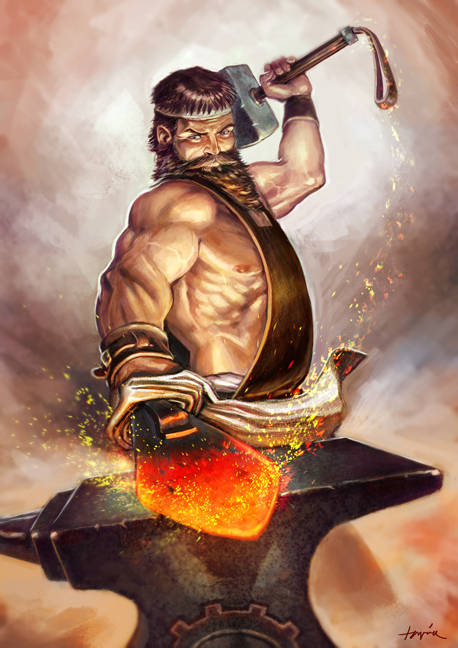 Argamon was a dwarven multi-classed fighter/sorcerer with a club-footed Dexterity of 5 and a serious propensity for coming up with the wrong answer for any situation. Having developed sorcerous talents in a superstitious dwarven community, Argamon was effectively ostracized and elected to set out on his own. Despite his relative inexperience as an adventurer, he routinely entertained his comrades and erstwhile drinking companions with largely fabricated and heavily exaggerated tales of heroic deeds designed to spread his fame and unnerve any would-be antagonists. Additionally, though he spent considerable effort honing his mystical talents, he had an unusual habit of utilizing them in unexpected ways. Ever he strove to prove his dwarfishness, and he even took up work in a local smithy to hone his natural skills with working metal. One of the ruddy-bearded, crimson-garbed dwarf’s hardened compatriots was a monkish fellow named Taermon. A generally serious and fairly dour individual, Taermon’s player exhibited – through the course of the campaign – an unending series of pretty much the worst die rolls I have ever, EVER seen. This quickly became a characteristic of the character, and Taermon was widely considered a well of bad luck best avoided at all costs. He took employment as a bodyguard on more than one occasion, though his potential clientele soon diminished as he failed to keep one employer after another from meeting their doom. A notable failure was the gentle gnomish bard with a troop of adopted teenage human girls with whom he frequently shared the stage. The gnome had an unfortunate gambling problem that soon turned quite fatal, and Taermon’s sense of responsibility quickly turned the four teenage NPCs into wards who constantly needed saving from themselves… though the eldest of them quickly became a love interest. The final member of the trio was a young gnomish woman known as Twinkle the Barbarian. A diminutive canine-mounted rogue who had learned to tap her inner rage to lend her strength in times of need, Twinkle earned her keep with the development of a specialized courier service that delivered clandestine meeting arrangements, discreet payoffs, and questionable merchandise throughout the city’s underworld for a modest fee. Though the quietest of the group, Twinkle had a self-satisfied manner and a lust for fun and games that made many of her associates finish their drinks quickly and depart lest they get caught up in another grand scheme. And of course, you just didn’t want to piss her off. A more unlikely group of investigators might have been hard to find. They often stumbled into one situation or another and frequently fell for the red herrings. But they had a blast doing it, and there was quite simply never a dull moment for any of us in Freeport: City of Adventure. I recently interviewed Chris Pramas of Green Ronin on our podcast, and we talked about the latest development in this wondrous city’s noble heritage: a 512-page full-color hardback for use with the Pathfinder game system. I’m not even a Pathfinder guy, yet I can’t wait to get my hands on this tome. 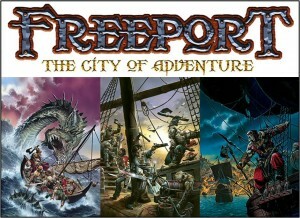 If you’d like to check it out (and trust me, it’s more than worth it), I encourage you to support the Freeport Kickstarter campaign currently in progress. And get yerself some booty! Arr…! Prior to the end of the year, my podcast was promoting a holiday giveaway sponsored by numerous vendors and publishers. In early December, I was contacted by a software developer who wanted to get in on the action and offered us a copy of their flagship product to add to our mammoth prize package. The company was Lone Wolf Development, and the product was a multi-system character generation and management utility entitled Hero Lab. Fast forward to today, and Hero Lab has become a staple of my gaming diet. The enlightened gents from Lone Wolf tossed a copy my way so I could check it out, complete with a license for the game system(s) of my choice. From listening to the show, they figured they could talk me into trying it with Savage Worlds… It required surprisingly little arm-twisting on their part. I’ve been a laptop GM since around 2002, with a heavy emphasis on D&D 3.5, so I’m no stranger to digital tools at the table. And to be fair, I’m running mostly Savage Worlds lately, and the one thing I lacked was – you guessed it – a character generation and management utility. I should probably point out that crafting a character for Savage Worlds is a somewhat less than stressful process under even the worst conditions. The night I introduced the game system to my home group, characters were effectively written up and ready to roll in less than half an hour. With a little practice, it takes about 15 minutes. With Hero Lab, it takes about 5. The strength of the software is its ease of use and utilitarian features. It keeps the math straight when you’re selecting your options and provides ready descriptions of every hindrance, skill, edge, or power you click on. My online group now uses the software to construct and regularly update their characters, and every one of them figured out the ins and outs of the program with little to no guidance and minimal frustration. As a player, you can even use the software to manage the character in play… it’s like an interactive character sheet spread out across a number of navigable tabs. If you’re wounded, you check the appropriate box and every statistic affected by the wound is updated appropriately. You can track power points, temporary adjustments, and even bennies (an invaluable tool for a Google+ game!). For the GM, Hero Lab provides a quick and easy way to manage NPCs and bad guys. More importantly, the program provides a tactical console for managing combat, with quick and easy access to every relevant statistic for each combatant. This is a powerful resource for tabletop gaming not found in many products, and it has always been an absolute must at my gaming table. The true flexibility of a character manager comes into play when the system provides the means to interact with the character under the most complex and vital circumstances. So what if you’re not into Savage Worlds? Well, thanks to Lone Wolf’s unique brand of gamer ingenuity, the same flexibility extends over a multitude of systems. I’m not kidding… You can get the same degree of utility I’ve described here for D&D 3.5 or 4th Edition, Pathfinder, or any OGL-system game, as well as Shadowrun, Call of Cthulhu, the World of Darkness, and Mutants & Masterminds (2nd and 3rd edition!). When you buy the program, you let them know what license you’re wanting to pick up… and once you’ve got the program, additional licenses are pretty reasonably priced. 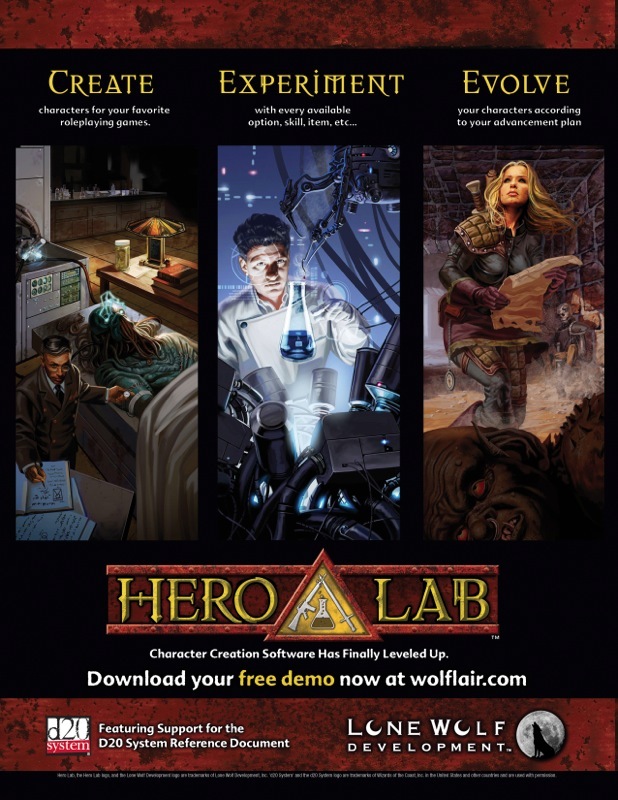 So whether you’re an experienced laptop GM or a complete noob, I can confidently assure you that Hero Lab will be an excellent tool at the table. If you’re a player just looking for a way to efficiently construct, store, and manage your PCs, you’ll certainly find it a friendly and versatile platform for doing so. 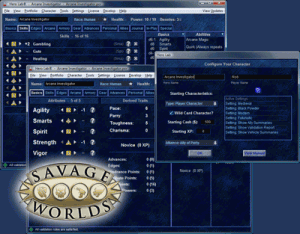 I also know that Savage Worlds and Pathfinder, at least, offer numerous supplementary materials to expand the program’s utility for your games. And you can expect great things from Lone Wolf in the days ahead… just check out the Realm Works Kickstarter! *gives you a level look* Any questions? I’ve tried to spend a little bit of mana offering creative advice for players intent on adding a little texture to their roleplaying excursions, so I thought I’d return to the other side of the screen for my newest feature. A lot of my players find they like it best when there’s some kind of barrier between us. I’m sure it’s just an issue of respect. I mean, that only makes sense. So, if you’ve ever listened my show, Metagamers Anonymous, you’ve probably heard us mention the monolithic adventure path from EN Publishing entitled War of the Burning Sky. It was a pretty important experience for us as a group – much as any stupidly massive campaign adventure should be – as we bonded very strongly with a small but engaging cast of heroic misfits on a quest to save the world from the evil clutches of Skeletor… or was it Mum-Ra…? Anyway, it was a big deal. What I want to discuss here is one particular decision the designers made that took an otherwise fairly standard sort of high fantasy D&D game and complicated it in a way that significantly changed the texture of the campaign. You see, there comes a point in most any Dungeons & Dragons epic – typically around mid-level – that the motion of the game moves directly from an exhausting and dangerous foot race to the province of magical transportation. This shift inevitably takes questions of distance out of the story equation, in as much as the PCs can generally go directly to where the story is without concerning themselves with the intervening space. In WotBS, the writers introduced the “burning sky” effect (of which I will not spoil the cause in case you might one day check out the campaign), which effectively curtails teleportation and similar effects by gently massaging mystical travelers with massive amounts of fiery death. Even when the PCs manage to find ways to withstand the damage, everyone still emerges from a transportive effect in a dramatic plume of eldritch flame with about the subtlety of a live grenade. Effectively, the burning sky becomes a constant companion of the PCs as they are invariably confronted with events that require them to traverse considerable distances, sometimes in competition with enemies or events and their pocketwatches. 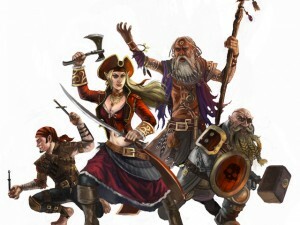 As GMs, we are often tempted with the urge to make radical changes to our setting – whether intrinsically or situationally – to make life more interesting for the PCs and craft a gaming experience that isn’t quite like the last adventure of a similar expression. The dangers inherent in making sweeping changes, however, include the very real possibility of fracturing suspension of disbelief by battering aside player expectations and asking them to embrace unusual concepts (unusual to the situation, anyway) that require constant reintegration. As you can see, it is possible to get a very similar effect with a singular significant adaptation. What about a world where the magic of flight isn’t an option, and possibly never has been? What about a setting where gnomes are extinct… except for that PC… (wtf!)? What if the nobles in your society are all psionic? What if magic is illegal? In my newest Savage Worlds fantasy campaign, the gods fell silent several years ago, and there is no divine magic… except for that one PC and a few others like him who have to hide the fact that their deities have begun to speak to them again. Or is it really the gods at all? With a simple adjustment, you can offer an otherwise traditional campaign – whether the PCs are fantasy heroes delving for loot or rogue traders sailing amongst the stars – a fresh coat of paint without even really trying. The players will naturally latch on to the variables and make them a part of the experience in every way. You don’t need to violate their expectations… give them what they know and love; just add a bit of texture. And if they don’t like it, you can always have them beheaded.